The skin is the body’s largest organ. One of its main functions is to eliminate toxic waste buildup through sweating. If the body contains more toxins than the liver and kidneys can handle, the skin compensates. Many doctors call skin the “third kidney” because it is implemented by the body so regularly for detoxification. This leads to a logical conclusion: when the body leaks toxins out through the pores, disruptions occur like acne. Women who suffer from breakouts before their periods can attribute it to the release of progesterone post-ovulation. Being aware of this, it’s easier to prepare the body by eating high amounts of female hormonal balancing herbs like red raspberry leaf (in tea form), and essential fatty acids. If the problem persists, breakouts can also be attributed to the presence of candidiasis, a proliferance of yeast build-up in the body. 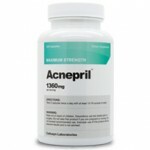 Treating this condition may eliminate any acne problems. Make sure you are consuming enough nutrients to prevent and treat acne. Begin by supplementing with acidophilus. Acidophilus is a popular probiotic and is important to replenishing healthy bacteria in the gut and digestive tract, which results in fewer breakouts. It’s vital to take acidophilus especially if you’ve ever been exposed to any antibiotics. Antibiotics kill off all the good bacteria in the body, weakening the immune system. Replenish yourself with acidophilus and protect against future problems. Chromium Picolinate is another nutrient that can be supplemented to treat infections in the skin (such as acne). Colloidal silver is also a natural antibiotic that can stave off long-lasting problems. Essential fatty acids found in flaxseed, hempseed, primrose oil, and fish oil nourishes the elasticity of skin, prevents aging, and repairs tissues—helping the body heal and eliminate scarring. Potassium deficiency has been linked to acne so ensuring you are getting enough in your diet (found in fruit like bananas, kiwis, and strawberries) is important. 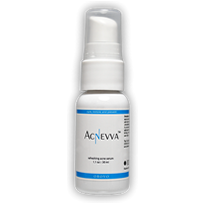 One of the most promising and elemental finds in the field of dermatology for treating acne and wrinkles is Vitamin A. Vitamin A prevents stress within the body, a leading factor in acne breakouts. It also improves circulation to the skin’s surface, aiding in nutrient delivery. Burdock root, dandelion leaves, milk thistle, and red clover all help prevent and treat acne. They do this by cleansing the blood and liver thus ensuring limited toxins are pulled through the skin. Cleansing the blood is the fastest way to treat acne, but detoxing the other organs is important for sustaining results. “Cellular inflammation accelerates the aging process, as well as the onset and natural course of many diseases—from cancer to cardiovascular disease, arthritis to acne.” -Dr. Nicholas Perricone. The following is an excerpt from Dr. Nicholas Perricone’s book The Clear Skin Prescription, page 56. Bagels, Bananas, Breads, Cake, Candy, Cereal (except slow-cooked oatmeal), Cookies, Corn, Cornbread, Corn muffins, Cornstarch, Corn syrup, Crackers, Cream cheese, Croissants, Doughnuts, Dried fruits, Egg rolls, Flour, French fries, Fried food, Fruit juices, Granola, Hard cheese (except romano and parmesan), Honey, Hot dogs, Ice cream, Frozen yogurt, Sherbet, Jam, Jelly, Mango, Margarine, Molasses, Muffins, Noodles, Pancakes, Papaya, Pasta, Pastry, Peas, Pie, Pita bread, Pizza, Popcorn, Potatoes, Pudding, Relish, Rice, Snack foods, Soda, Sugar, Tacos, Tortillas, and Waffles. The cornerstone of the anti-inflammatory diet is the careful regulation of blood sugar. Try drinking eight glasses of water every day. Don’t drink soda, juice, or coffee. Avoid sugar and white flour at all costs. Eat only fresh fruit, vegetables, and protein. Eat nuts and seeds like almonds, hempseed, and flax. Do this for a couple days. Your skin should clear up immensely. These remedies are tried and true, but they do take commitment. The great thing about treating conditions like acne from an internal approach is that your entire body will feel better, and you’ll also see great side-effects like weight loss and an increase in energy. 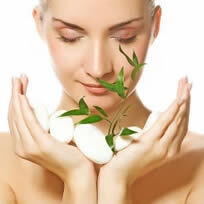 Comments on "Natural Acne Remedies"
Leave a Comment about Natural Acne Remedies here. Hi, May I ask a question? I have ance scars on my face from mssieng with my face back when I was around 15 or 16 years and I am now 21 years old. But the question is, can I use the lemon treatment on my multiple ance scars many times a day or just once a day? Thanks for listening to my question.